USA Inflatables is the Minnesota leader in the Full Service Event Rental industry. USA Inflatables works hard to offer the newest and most innovative Inflatables and party rental items. From Inflatables, moonwalks, dunk tanks, euro bungy, rock wall, concessions, photo booth, outdoor movie screens, water slides and more. With FREE delivery and set up in the metro area USA Inflatables has the largest selection available for FREE Delivery and set up. The team at USA Inflatables works hard to make sure your event day goes smoothly and everything is as planned. 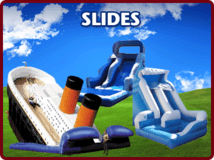 Know you made the right choice when choosing USA Inflatables for all your party rental items. At your next big event call USA Inflatables to add some excitement, Try the pony hops or Rent an inflatable and use it as a fund raiser. These opportunities only come around once in a life time. 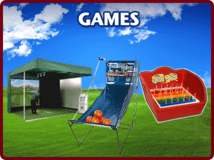 Celebrate with inflatable rentals, carnival games, casino games and more. Need a tent or tables and chairs to make sure your guest are comfortable call us. Inflatables are great additions to every birthday. Whether it is just a moonwalk, combo slide bouncer or something else kids love inflatables. When planning that special birthday we have several themes to choose from including Disney Princess, Mickey Mouse, Monster Truck, Castles, Toy Story, Superman, Batman, Justice League, and several others. Don't just have a party; make it an event every one talks about. Our awesome inflatables, games or concessions might be just what are missing from your event. Call USA Inflatables today to add that extra excitement to your next event. Whether you are having a large or small carnival, inflatables are great sources of entertainment. You can see the excitement on the kids faces when they race down the inflatable slide or through the obstacle course. Don't forget the bouncer and rock climbing wall they will be entertained for hours. If you are planning a carnival at your next event call the experts at USA Inflatables 763-506-0400 special discounts apply to large and multi day events. Adding an inflatable to your charitable function adds excitement to the entire event. Sell tickets and the inflatable can be an extra source of revenues for your event. 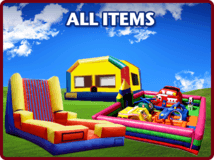 Church Festivals are extra special when you add some inflatables, games, concessions, bungee trampoline, Spider Mountain or other interactive from our huge inventory. Tents, Tables and chairs are also available to give your guests a place to relax in a comfortable atmosphere. Call us to put a package together special discounts apply to large festival events and multi day events. USA Inflatables realizes that the city festival is a direct reflection of the city itself and strives to leave a positive image for the city. We realize at the city festival that guest from other cities will attend and this may be the only opportunity to leave a positive image for the city at this event. We also realize that as an organizer of this event you have more to worry about than the carnival. For large events USA Inflatables will always have key staff members on site to trouble shoot any problem so that you can focus on other parts of the festival. It doesn't matter if it is a high school, college or any other class reunion a photo booth to capture the memories is always a great addition. Air Dancers, PA systems or projectors can complete the event. If you are planning your company picnic, you found the right company to assist you in the planning process. We've helped hundreds of company plan their entertainment needs. Make sure you have the right equipment (inflatables, tents, tables, concessions and more) at your next event and maybe your boss will be so impressed you'll get a raise. Don't trust this to any random company or they may not show up and your boss won't be happy. USA Inflatables has the right products, service and professional staff to assist you with you event. Call us for a free quote and help with adding some excitement to your next company picnic. 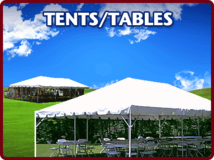 USA Inflatables also has the tents, tables and chairs you will need for your event. Planning a large corporate event? This may be one of the most stressful tasks you perform all year. USA Inflatables can help!! We will assist you in the entire planning process. Call us to get started sleep well at night knowing you are working with USA Inflatables and we will make this stressful event a great time for all. Do you have employees you want recognized for their hard work? We can help. 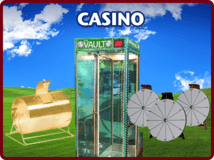 Have a casino party or special day of activities just for them try the rock climbing wall, Velcro wall, jousting, photo booth, or king of the hill. We also have several team building items to assist with your event. Don't forget about your valuable customers. 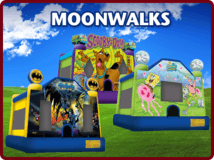 How about renting an inflatable moonwalk to show your customers how much you appreciate them, or tries a concession like our cotton candy, popcorn or nachos to show your customers how much you appreciate them. Camps are a great place for inflatables and carnival games, concessions and more. Inflatables provide an excellent source of exercise and keep the kids entertained for hours. 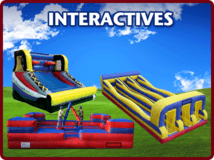 Try a bouncer combo, obstacle course, or giant slide. Add a popcorn machine or cotton candy for that extra bit of excitement. Provide a couple special days during the summer with exciting inflatables. Have a beach day and bring a Water slide or giant slip n slide. Try a carnival day with a moonwalk and Cotton Candy Machine or Sno-cone Machine. We offer a special discount to day care providers that sign up for 3 or more events during the summer. Managing a large event? Let our expert staff assist you in providing the best event possible for your budget. Our experience with large and small special events will help you provide the best items for your event. In addition you have enough to worry about with the rest of your event. Let us handle the details of the entertainment so you can focus on other aspect of your event. Planning the perfect event takes time - We can save you both time and money by offering our expert advice on product selection, event times, staffing, volunteers, training and more. 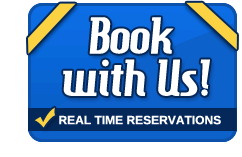 Call us to go over the details of your event. USA Inflatables performs at several fairs through out the year. Minnesota State Fair, School Fair, Church fair, and let us help you coordinate the best items for your fair. From the 22' double bay slide, to a red castle moonwalk, a 65' rock climb challenge, bungee trampoline, rock wall or more. We have the items you need to make your fair a success. It doesn't matter if you have a reunion every year or every five years make it special with inflatables and concessions. Bring a sno-cone machine with a jumpy castle rental and the kids will be entertained for hours. Try the inflatable joust to take down your father in law or Double slip and slide to keep the kids cool. City festival, Church festival, School festival what ever type of festival you are planning ask the experts at USA Inflatables to assist you with the planning. We will offer our advice to assist you in providing the best possible items at your event. Whether it is our giant 4 story tall hippo slide, 80' obstacle course or cotton candy USA Inflatables will make sure your festival is a success. We will work with your fund raiser to give you ideas to help you raise money for your event. Try the dunk tank, bounce house or slide to add to the atmosphere of the fund raiser. Also we have a large raffle drum for your ticket raffle. We know your kid wants a bouncer or interactive at their graduation party!! I will assure you this is very normal behavior. We rent more inflatables to graduation parties in June than to birthday parties. 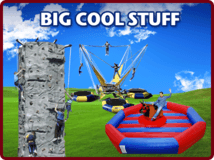 all of our products are excellent for grad parties photo booth, dunk tank, bungee run, joust, moonwalk, water slide, bouncy boxing, Velcro wall, rock wall or obstacle course. Call us to go over your event details and we will make sure your graduation has the perfect activities to entertain your guests. Inflatables are a great way to promote your stores grand opening. The large inflatable will generate excitement and bring attention to your new store also it lets the kids bounce while mom and dad shop around the store. Additional items for grand openings include air dancers to generate attention to your grand opening. Whether it is a Dunk tank for Memorial Day, water slide for the 4th of July a giant slide for Independence Day or moonwalks for Mothers Day, a combo unit for Fathers Day, dual throw a shot basketball for Christmas, quarterback challenge football for Thanksgiving, money booth for Easter, we have exciting equipment for every holiday. Call one of our event specialists to find that perfect event rental item for your holiday party. Homecoming is the perfect celebration to add one of our great products. Whether it is a High School or College event try a 65' rock climb challenge at the pep fest, large tent at the game for the home coming activities. Call USA Inflatables to go over all the great products for your event needs. The kids are bored? You just feel like having a party? What ever the reason is call USA Inflatables and we can bring fun exciting interactive equipment to keep the kids occupied for hours. Try my kid's favorite the water slide and double slip and slide are awesome. Your kids will be the talk of the neighborhood when you add excitement to their day. It's a party! YEAAA! For what ever the reason you are having a party USA Inflatables has the party rental equipment to make the party a huge success. Try a bounce house rental to keep the kids occupied for hours or try an obstacle course to give them a friendly competitive challenge VS their friends. Don't be surprised if you find the parents challenging the kids. Call USA inflatables to make your kids party a giant success. USA Inflatables specializes in large events with 8 or more inflatables. Our professional office staff will go over all the details of your event to figure out the best items to provide entertainment to all ages from infant to Adults. Try a kid's play land for toddlers, bouncer or wacky world for the pre-teens, inflatable joust, bouncy boxing or Velcro wall for the teens; try our rock climbing walls, bungee trampoline, or Spider Mountain for all ages and our Mechanical Surf Board for the adults. 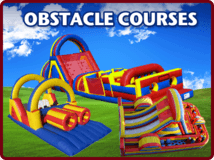 Add a large obstacle course, giant slide, cotton candy, popcorn and Nachos to complete the event. Give USA Inflatables a call to receive a free quote and discuss how USA Inflatables can make your large event a huge success. This is always a day of celebration for your kids! 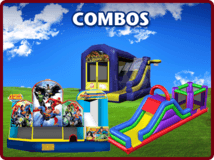 Why not reward all of their hard work from the school year with a moonwalk or combo for your backyard. Invite over the neighborhood kids and you will be the talk of the town! All Night or overnight Lock-ins are a great time to rent one of our interactive items to promote camaraderie through competition. Try our Defender Dome, or 4-person Joust, or even the Race to the Top. Sumo Suits or Giant Twister would also be great items to keep the kids busy and excited during your event. Are you in charge of planning your company party or National Night Out event? Give us a call and we can help you with all of the details. We will help coordinate delivery and set-up times, work within your budget offering a number of different discounts for multiple items, and make sure you have the best age-appropriate inflatables to make you look like a pro! Are you having family in town from out of state and want to plan a picnic at the park the celebrate the event? We will work with you on all aspects of the event. If the picnic area doesn't have power, we can provide generators. If the park requires you to list them as an additional insured lessee, we can help you with that too. We want to make sure your event is perfect and will do whatever we can to make it memorable. Are you in charge of planning an event for your advertisers and want to make sure you grab their attention? Try one of our Big Cool inflatables. Want to have a Long-Drive contest for all your golfing Sale Associates? Try our Golf Simulator for your event! Want memories of the event? Try our photo booth with unlimited pictures and a CD containing all the pictures included! Are you celebrating a special event in your lives? Are you having a party to recognize a huge accomplishment! We can help you plan the perfect event. Bounce houses will keep the little kiddies busy for hours while the adults challenge themselves to a joust match or sumo wrestling match. 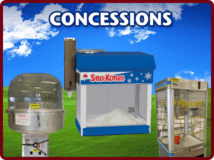 We also have popcorn machines, hot dog steamers, cotton candy machines, and sno-cone machines. The photo booth is a must-have for a school dance. Our photo booth comes staffed for a 4-hour event and provides you with unlimited pictures and a CD with all the pictures at the conclusion of your event. We also have popcorn machines and cotton Candy for less formal events or middle school dances. We have a lot of experience working with schools during homecoming week, graduation week, or any other recognition week. Providing an interactive inflatable like the joust, or sumo suits, is a great way to promote school spirit during your event. Also, many Phy. Ed. teachers find it as a great reward to provide an obstacle course for a day of classes as a way to promote fun, competitive physical fitness. We have coordinated a number of Senior All-Night Parties over the years and love to help celebrate such a huge moment in so many lives. The mechanical Skate board or mechanical surfboard is always a huge hit. As well as the Money Booth, King of the Hill, Joust, Sumo Suits, Obstacle Courses, or maybe even poker and black jack tables. A sports moonwalk or sports-themed combo is a great addition to a team kickoff party or end of the year party. We have items suitable for all age groups for t-ball to college teams. You will be the Coach of the Year! Need a batting cage for a week long baseball camp? We can help you with that. Or maybe you just want to plan a fun activity on the last day of camp with our Hoop Shot or Quarterback Challenge. Golf camp is a great place for a Long-Drive competition in our Golf Simulator. Trying to beat the summer heat - Try one of our 16 ft water slides or one of our inflatable Slip n Slides. Want some refreshing competition - Try the Water Balloon Battle. These are sure to be a hit in your neighborhood and keep the kids busy for hours! Coaching a team? Teaching a class? If you need cooperative tools to help build your team, we have some items that would be great. Try our 30' Parachute for elementary aged kids, or our 4-person buddy walker or tug of war rope for the middle-school aged kids. High School kids love obstacle courses or any of our interactive items. Are you on vacation and just want a relaxing day with your family, or possibly a picnic in the park? We have Rock Band or Guitar Hero that can be set up in a hotel room on a rainy day. Or, we can work with you to have an inflatable set up at your picnic location. We have worked with many wedding coordinators in the past and love the opportunity to be a part of such a great event. We have a Photo Booth that is perfect for wedding receptions and comes with unlimited pictures and a CD with all of the pictures and the conclusion of the event. We can provide large tents for outdoor weddings or tables and chairs for any sized wedding. We also have concession items such as popcorn machines or cotton candy machines that make for great addition to any wedding reception. Are you planning a party for someone returning for overseas? Is someone coming home from college for the summer? No better reason to have a celebration. We have a number of concession item available that will keep you out of the kitchen all day. We also have a number of moonwalks and combos that will keep the little kids busy for hours.